Your source covering jazz and undiscovered music from around the globe. 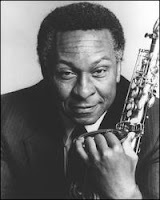 Frank Morgan was not only a great saxophone player he was considered by many to be the successor to Charlie Parker. He performed allot in L.A. when he was young. Frank Morgan's early work showed incredible promise. His career was derailed slightly after just two recording sessions by a heroin addiction (common among jazz musicians during the '50s) and a long stint in San Quentin. During this time he also worked with the likes of Art Pepper, keeping his chops fresh. When he reemerged it was as if he had never left the scene. The influence of Charlie Parker was still there but with a new sense of direction and vigor. Many of his older releases are out of print but you can find some of his '90s and '00s releases in stores and online. 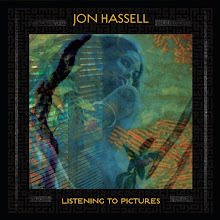 A recent set of three releases on High Note Records, recorded live at the Jazz Standard in NYC (City Nights, Raising The Standard and A Night In The Life) are a perfect example of his craftsmanship and are highly recommended. While a large majority of his material from the 80s and 90s are now out of print (with only very little available online), an early '90s session, You Must Believe In Spring (Antilles) is a wonderfully mellow duet recording with various piano players including Kenny Barron, Hank Jones and others that you should also check out. An intelligent and powerful performer who overcame the odds of addiction and psychological stress of incarceration continued to raise the bar with each recording upon his comeback, Frank Morgan is a legend to be loved, revered and admired. Frank would again overcome odds after having a stroke on the way to a gig in Michigan. He survived a continued to perform and record until his passing. A major loss to music fans of any genre but his ability to surpass his adversities should be an inspiration to all. 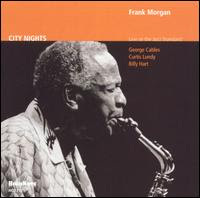 If you have the time buy any Frank Morgan album (maybe even the ones mentioned here), I have a strong feeling you will enjoy his music allot. Check out the performance below, its a great way to close out the week and start your weekend. Herbie Hancock: Tune In. Turn On. Funk Out. Dave Brubeck: After "Time Out"